In 2004 I was invited by the Editor of the magazine ‘Today’s Pilot’ to fly some different helicopter types and write some flight test articles for the magazine. 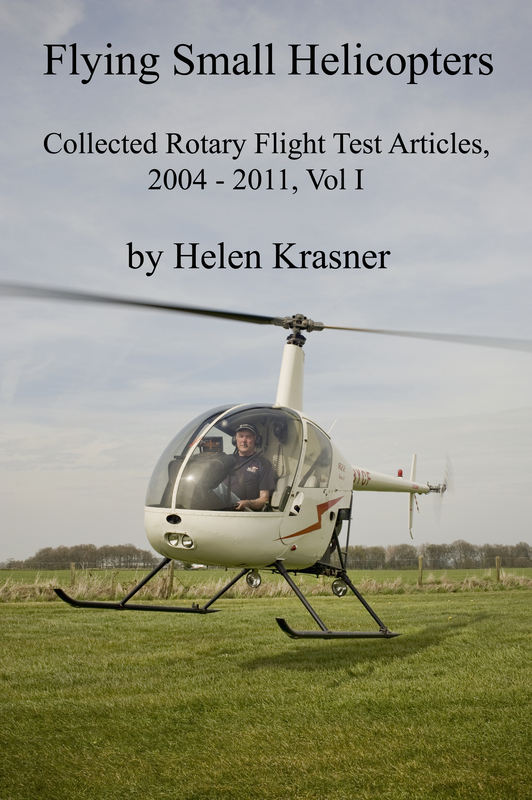 The first – on the Schweizer 300CBi, and included in this book – was well received, and this was the beginning of a series of regular features on different helicopters over the next few years. Each described a different helicopter in some detail and explained what it was like to fly it, and the articles continued until 2011. At that time the magazine was incorporated into ‘Pilot’ magazine, so I carried on writing for them, and still do so occasionally. This means that to date I have flown and written about around 30 different types of helicopter, from small training machines to large corporate aircraft, from old civilian machines to modern military helicopters. This gives me an almost unique overview of the different types of rotary machine. I have now published these articles in book form, as a series of four. This first book looks at eight of the smaller helicopters, generally those on which most people learn to fly or which they might buy as a first helicopter after completing the PPL(H) course. Each type is described in detail (around 3,000 words); then I explain what it feels like to fly it for the first time. Finally there is a short history of most of the types, and detailed specifications. A photo of each helicopter is included wherever possible. The whole book is over 27,000 words in length. You can buy it here.